Announcement Mother's Day Sale - SAVE 10% off and FREE U.S. SHIPPING on select orders. Welcome to Beach Glass Gone Wild! 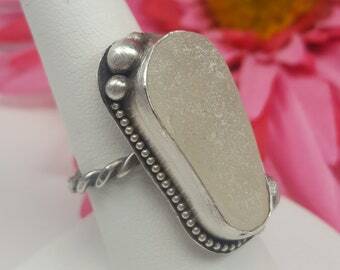 My online boutique features affordable Sterling Silver handcrafted beach glass jewelry for all occasions. I hope you find something special for yourself or for that special someone. 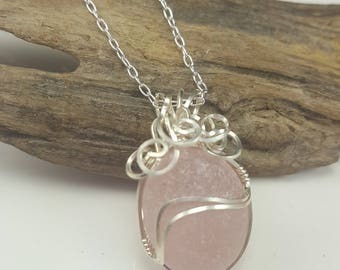 In order to stay updated with newly listed designs, coupon codes and upcoming shows, be sure to LIKE Beach Glass Gone Wild on Facebook and Twitter by clicking the links on my Etsy page. Please also follow me on Pinterest. 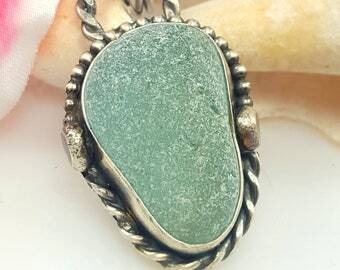 Beach Glass, often referred to as sea glass, is created from glass that has made its way into large lakes and oceans. The glass is then naturally tumbled by the waves, causing it to crash upon the rocks and sand. This process creates one-of-a-kind frosted gem-size treasures that are eventually washed upon the shores and beaches. As more bottling companies are using alternatives to glass, such as plastic, beach glass is becoming increasingly rare and difficult to find. Mother's Day Sale - SAVE 10% off and FREE U.S. SHIPPING on select orders. Quick shipping! Thank you very much! Beautiful ring. Shipped quickly. Excellent seller. She'll look pretty in pink! 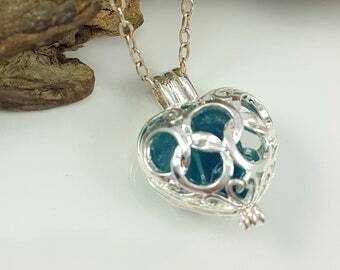 This lavender sea glass pendant would make the perfect gift for a lucky lady this holiday season . This beach glass marble was collected from the shores of Lake Erie, PA.
Ruby Red Sea Glass Ring. I'm a Beach Glass Beach Bum! Hi. I'm Kelly and I love to keep busy. I’m a real estate agent for Berkshire Hathaway in Murrysville, PA. I love designing jewelry, snowboarding and weightlifting. My love of beach glass (also known as sea glass) began when I purchased a summer cottage along the scenic shores of Lake Erie, Pennsylvania. I would take daily walks along the shorelines and gather as much beach glass as possible. 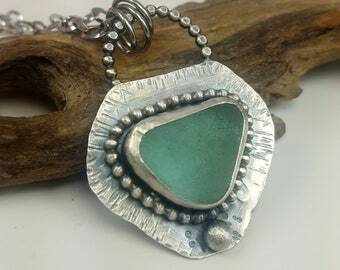 As my collection of beach glass began to grow, I decided to enroll in a few jewelry design and metalsmithing classes at a local Lake Erie bead shop. I was immediately hooked on jewelry design, and I had found my passion!! The name “Beach Glass Gone Wild” was coined by a dear friend of mine who knows my personality all too well!! The name flowed perfectly and definitely speaks the truth of my personality. YES - I do have a wild side and I must admit, I am the "WILD" in Beach Glass Gone Wild. 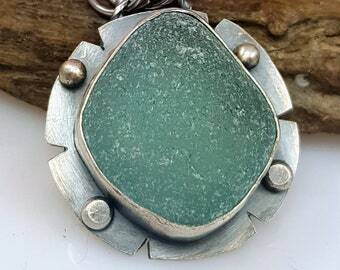 I only use surf-tumbled beach glass in my designs, which mostly originates from the shores of Lake Erie. I handcraft each individual piece of jewelry myself. 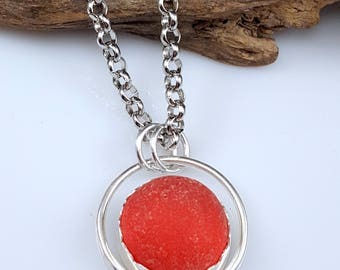 My customers love my jewelry because it’s affordable, fun to wear and reminds them of some magical moment they spent on a beach or a memorable vacation. I hope to someday leave the corporate world and design jewelry exclusively for my awesome customers! Please help me realize that dream by sharing my shop with your friends, liking my shop on Facebook and following me on Pinterest!! And, of course, purchasing a few of my designs for yourself or gifts. I hope you find something special for yourself or that special someone. My journey began when I started collecting beach glass along the shores of Lake Erie. I had a great desire to learn metalsmithing and attended the Pittsburgh Center for the Arts’ Metalsmithing program. The rest, as they say, is history. Meet Hunter. My best friend, studio assistant and sea glass thief. Hunter was a stray that rescued me in Erie 8 years ago. He's been with me since the inception of Beach Glass Gone Wild. Beach Glass Gone Wild wants to make sure you are happy with your purchase. In the event you are unhappy with an item, kindly email us to discuss the returned of the item. Returned items must be in their original condition with all original packaging, including any and all gift boxes which were included with your original purchase. Returns must be received within seven (7) of receipt of purchased item. Upon Seller’s receipt of the returned item, your purchase price will be refunded immediately, minus any shipping costs. We will notify you via e-mail once we have received your returned item. Thank you for your purchase. Buyer shall immediately remit payment in full. Buyer is to remit payment including any and all shipping charges to Seller immediately unless other arrangements have been made and which are agreed upon between Buyer and Seller. International Buyer will be expected to pay additional shipping charges including any applicable insurance. 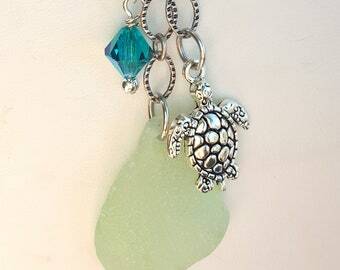 Beach Glass Gone Wild ships all items pursuant to Buyer's preferred method of shipment. Beach Glass Gone Wild is not responsible for any items that become lost or delayed within the U.S. Postal Service and Beach Glass Gone Wild will not issue a refund for items lost or delayed within the U.S. Postal Service (including U.S. Priority Mail). Although this rarely happens, on occasion, an item may become lost or delayed within the United States Postal System. If you wish to purchase postal insurance for your item, please contact Beach Glass Gone Wild to discuss prior to purchasing. In the event of a lost or delayed item, it is Buyer's responsibility to contact the U.S. Postal Service and open a Missing Mail claim for a lost item. In the event an item is delayed and/or not delivered to Buyer at all, or not delivered to Buyer in a timely fashion, it is Buyer's responsibility to contact the U.S. Postal Service and file a claim for postage reimbursement. International buyers are responsible for the payment of any and all custom duties and tariffs imposed by its postal service. Beach Glass Gone Wild is not responsible for the payment of any customs duties or tariffs and Beach Glass Gone Wild will not reimburse or refund Buyer if Buyer does not retrieve or pay customs duties or tariffs from postal service. It is Buyer's responsibility to provide Seller with an accurate shipping address. Seller will not issue a refund for items shipped to an incorrect address or an "unconfirmed" address. In the event Buyer provided an incorrect or unconfirmed address, it is Buyer's responsibility to contact the U.S. Postal Service and open a Missing Mail claim for said item. Please give SUFFICIENT time for your item to reach its destination. Please understand the U.S. Postal Service is often slower than normal during the busy holiday season. Please take this into consideration when placing your order. Purchasing your order using U.S. Priority Mail does not indicate your item will be bumped to the top of the design list. Orders are designed and shipped on a "first come, first served" manner. Beach Glass Gone Wild is not responsible for items that have not reached their destination in a timely fashion due to the U.S. Postal Service. Our jewelry is not intended to be purchased or used by young children, nor is it intended to be ingested by any individual or animal in any manner. Please supervise children and animals at all times while wearing jewelry. Jewelry is not intended for children under 12 years, due to choking hazards and other possible injuries. 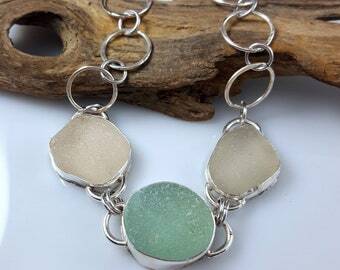 By purchasing our jewelry, you agree to hold Beach Glass Gone Wild, its successors or assigns and Kelly J. Chess harmless for any and all liability that may arise from the use of our jewelry. Please do not purchase our jewelry if you are not in full agreement to our terms. Please take into consideration that when purchasing handcrafted items that the item may not be perfect. We take meticulous care to design and inspect all items and we do our best to accurately describe each and every item. However, it is possible to overlook a flaw or imperfection. Although we try our best to avoid flaws or imperfections, something may be overlooked. Please understand that when dealing with handcrafted items, this may occur.